I’m used to being the one who interviews guests for my Cash Flow Diary podcast, but sometimes I get to switch seats. That happened to me recently as a guest on Charlie Poznek’s The BOOMER Business Owner podcast, and it was a blast! We chatted about real estate investing and how Baby Boomers can create the cash flow they need for a fantastic retirement. Charlie asked me how I help people create a more comfortable retirement life. I call it “putting more gold in their golden years.” In short, I teach them how to take their piles of cash and transform them to streams of income. This happens in one of two ways. Either they take their intellectual capital and turn it into streams of cash by learning how to convert real estate into cash flow, or they turn their pile(s) of cash – like the savings in a retirement plan – into streams of income to live on. A lot of people don’t understand what it takes to become a real estate investor. There are four basic components you need: knowledge, time, money and credit. Some people think, “I don’t have any money and I have no credit. I have a whole lot of time, but I don’t know anything.” Maybe you’ve said something like this. If so, stop it. You can be an investor and do really well. If you’re retired and have a lot of time, you can become an effective investor and create cash flow that you can live on. You have time to learn how to use other people’s money (ever heard of “OPM”?) to develop your business that in turn produces cash flow. 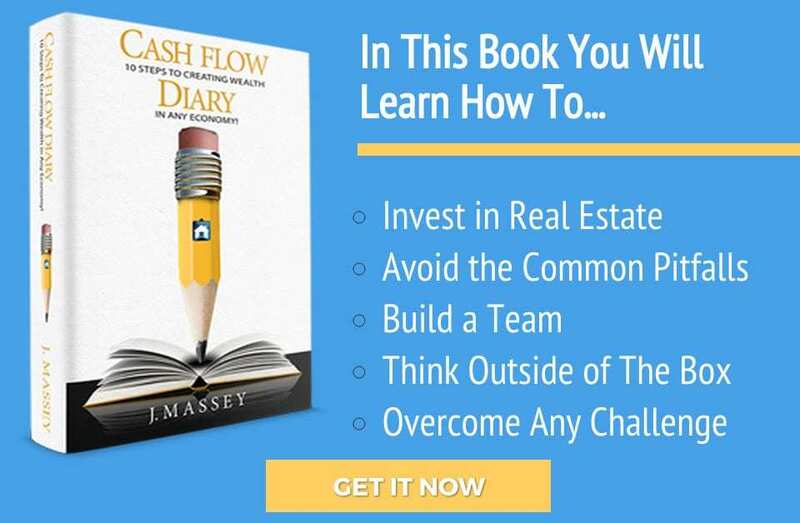 While my business is real estate investing – and I’d be happy if you were to learn how to do what I do every day that makes me smile so much – maybe you will start another type of business. The same rules apply. If you don’t have money, you better use your time to learn what you need to know to create a solid cash-flowing business. That is one of the rules of success. As the interview moved forward, Charlie came up with a name for what my team and I do. He realized that it’s not just real estate investing; rather, we help people. Charlie rightly calls this a “lifestyle business.” In one of his blog pieces, he says “it’s simply a fancy way of talking about a business that lets you design your lifestyle the way you want.” He couldn’t be more right! I move through my day helping people design their lifestyles. I may be coaching in the morning and running a workshop in the afternoon. In between I make and take a whole lot of phone calls. The end result is that I help people understand how investing in real estate has to potential of creating a higher quality of life and better lifestyle. Once people understand and embrace the cash flow aspect of investing they get really excited. I’ve watched them do deal after deal, literally changing their lives through creating passive income through controlling rental properties. Many enter as wholesalers and move into more and more complicated deals. That’s what I did, and it warms my heart to see others achieve on the same level. Charlie asked a lot of good questions. One was about what types of books I read. Boy, I bet he was sorry he asked! I listed several titles that I think everyone should read. One of my top picks happens to be a classic: The Science of Getting Rich by Wallace D. Wattles. If you read no other book, I suggest you read this one a few times. Embrace what it tells you to do and then actually go out and take the action steps. Learn at the Speed of Instruction™! In the interview with Charlie Poznek, we discuss the big five questions I would ask anyone who comes to me for help. This is the why, what, when, who and how of doing anything. I talk about why the HOW comes last. If you are thinking about going into business or want to be a real estate investor, you need to listen to this podcast. Charlie and I discuss so many different things that relate to Baby Boomers and anyone else who is looking to change his/her life that it’s hard to encapsulate everything here in one blog piece. I hope you will take 24 minutes and give this revealing interview your ear and your full attention! CFD 050 – Jessica Rhodes: What an Interview; What a Connection!